The Carn/Davidson 9 was formed at the beginning of 2010 as a collaborative project between JUNO nominated artists, trombonist William Carn and saxophonist Tara Davidson. CD9 draws on the body of compositions by its co-leaders. This collaborative project is an opportunity for both artists to “reimagine” their compositions for this chamber jazz instrumentation, shining new perspective on their existing repertoire. This 9-piece chord-less ensemble utilizes its seven horns as both melodic and harmonic devices, anchored by bass and drums. HILARIO DURAN “CONTUMBAO” Juno Nominated – Jazz Album of the Year: “Contumbao”, spans the entire spectrum of Cuban music featuring his authenticity. The Quintet: Hilario’s formal music training, combined with a deep understanding of traditional Cuban music, as well as a love for jazz, allowed him to play a key role in the integration of Afro-Cuban music and jazz; he represents an important aspect in contemporary Cuban music as well as in Cuban music history. “Contumbao”, in a quintet formation comprises an extraordinary collection of musicians providing an exciting experience in art. Duran teams up with bassist extraordinaire and Grammy nominated Roberto Riveron, with more than 25 years of music making. Jay Danley, Canadian born with a solid reputation performs the Tres Guitar, one of Cuban main instruments. Percussion: Jorge Luis Torres “Papiosco”, named “The Child Prodigy” by the late Tatagüines, one of the most important Cuban percussionists. Papiosco, who now makes Toronto his home, comes from a long line of virtuosic Rumberos who helped define the shape and direction of Cuban music. 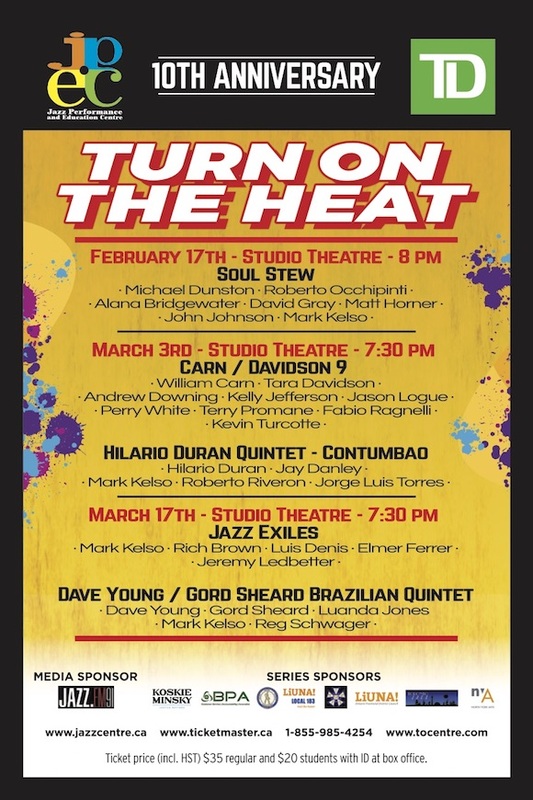 The Music: Afro-Cuban Jazz – Hilario’s original compositions reflect a wide range of influences from Cuban classics (Lecuona, Amadeo Roldan, Ignacio Cervantes); jazz (Stan Kenton, Quincy Jones); Latin jazz (Perez Prado, Dizzy Gillespie, Mario Bauzá, Tito Puente, Chico O’Farrill, Chucho Valdes); traditional and modern Cuban melodies and rhythms; Afro-Cuban prayers. Maestro Duran recorded this new material in his native country, the island of Cuba; at the EGREM studios in Havana. The repertoire to be performed presents the return to Hilario’s roots and his ancestors. It is Afro-Cuban Jazz with elements of Bembé 6X8, Güajira and Son Montuno enriched with the Tumbao, which means a typical Cuban ostinato melody used to comping most of the styles of Cuban music.